I used several, including Extra Virgin Olive Oil, Vitamin E Oil, and Grapeseed Oil though you could certainly add your own favorite oils, like Coconut Oil and Almond Oil if desired. You can really go wild with this one, using what is carried at your local hobby store or ordering some of the more exotic scents off of the internet. My favorites are Orange Essence, Lemongrass, and Lavender. 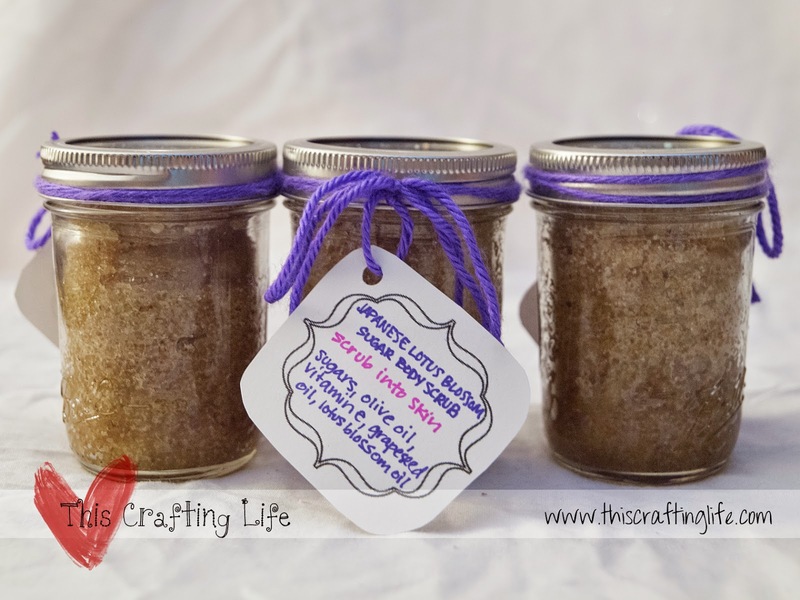 I tend to make multiple jars at once, so I use a mix of one jar of coarse raw sugar and one jar granulated cane sugar for every two jars I plan on using. To that, I start adding my carrier oils. I like to use a mixture of the ones I have listed above. Once you have a coarse sugary mixture that is the thickness you desire, start adding a couple of drops of your scented oils. Keep stirring and add scent until you reach the strength you like. 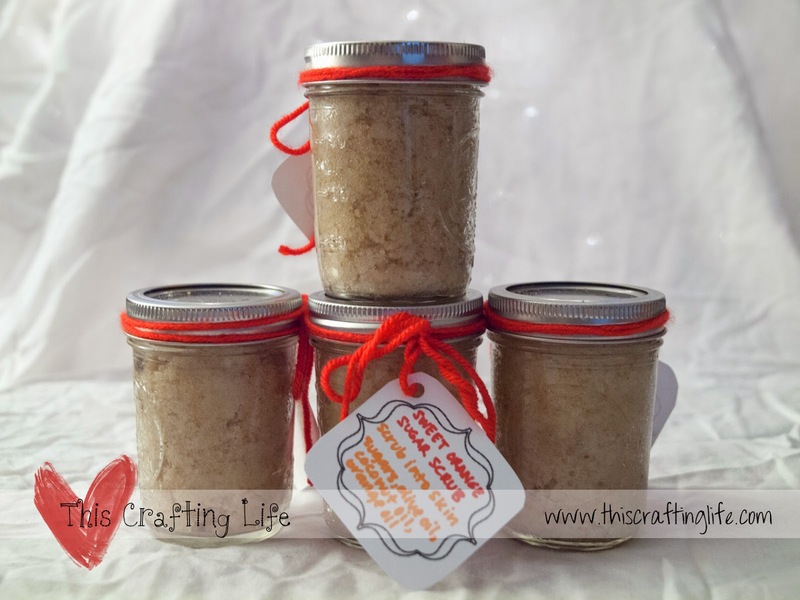 Fill the jars with the sugar scrub mixture and seal. Add labels with the scent and usage instructions. You'll enjoy gifting these little treasures, but make sure to save a couple for yourself!